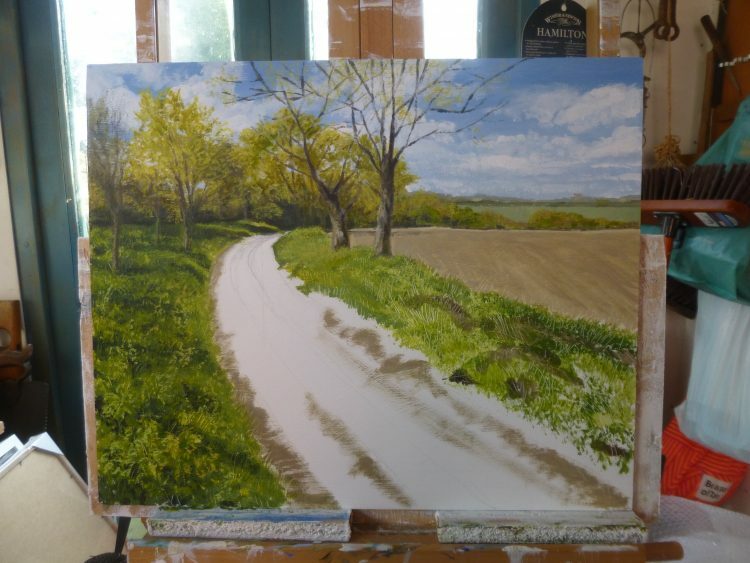 A trip around Suffolk – and progress! What beautiful weather we’ve had this weekend – it has really seemed like Spring is a possibility! Graham and I went up to Saxmundham yesterday to check out a fairly new gallery in the High Street there. The George Farnham gallery is tiny, though, so after a quick chat with one of the owners, and exchanging cards, we had a wander round the little town. 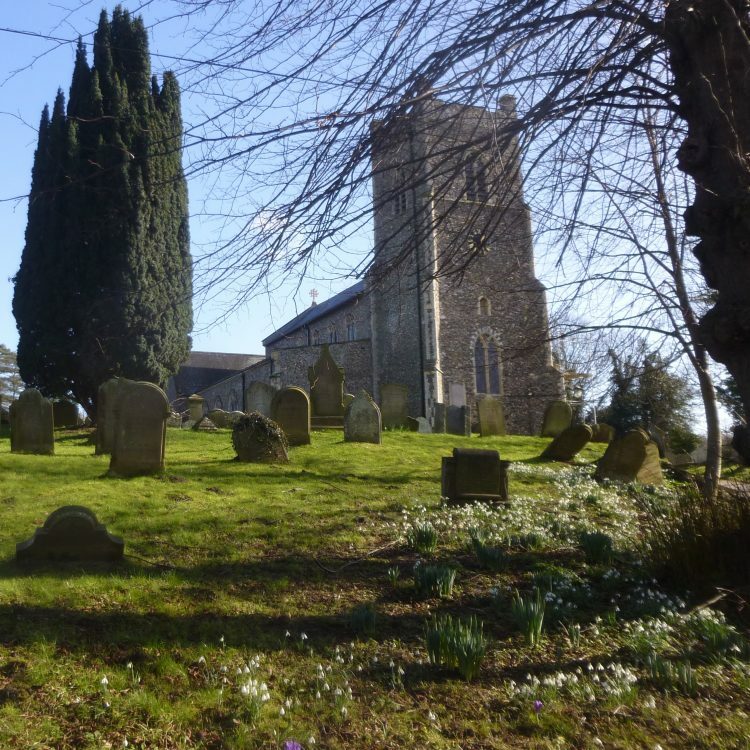 The church yard was full of snowdrops and crocuses, and the church was very well cared for, and modernised within its medieval structure. Lunch in Aldeburgh seemed like a good idea, so we drove out to the coast, and had a nice fish pie and a half of Adnam’s Broadside at ‘Ye Olde Cross Keys’. And then down to the beach. 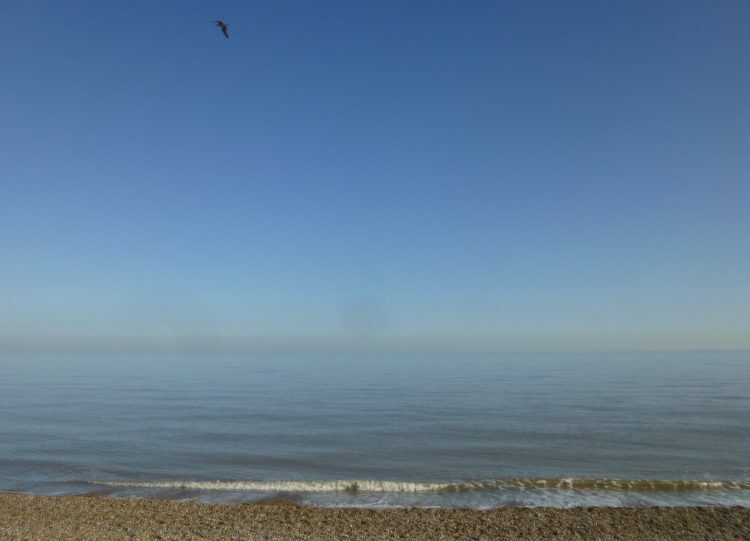 I have never seen the sea at Aldeburgh so calm – the waves were not much more than ripples, and the surface of the water was a beautiful shining pale blue. There were lots of people enjoying the sunshine – the last weekend of the half term holiday, and – maybe – the first weekend of spring! Then, a bit further down the coast, to Woodbridge. We found two lovely pieces in an Antique shop in the Thoroughfare, which will be two of our five special raffle prizes for our new May festival in Maldon. We bought five antiques for Raffle prizes at each of our Festivals in Lexden, and people seemed to really like the possibility of winning something really nice, rather than the usual raffle items. So we have just three more to find for our new Festival. Back in the studio today I’ve been making progress on Landlines 3: Track. This is where it’s got to so far . . .